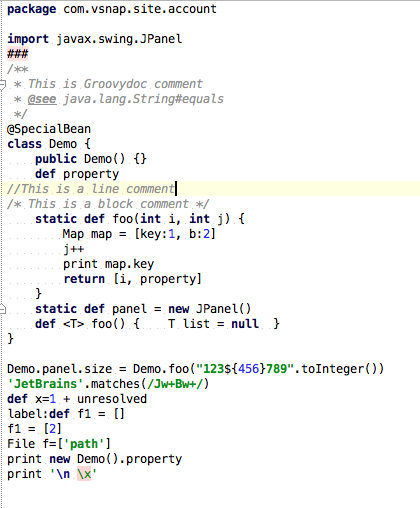 Syntax highlighting in at least Java/Groovy appears to be broken in 132.947 (OSX Mavericks) for me. I'm only really seeing reserved words, literals, and comments getting any kind of highlighting. I've checked the preferences and things look ok there. I didn't see anything in Youtrack that looked like it referred to this either. I'm attaching a screenshot of what it is looking like under the default scheme. Should I log an issue on this or is there something wrong in my settings?